Did you know you can now order your Deliveroo takeaway from Panas Gurkha here on View? 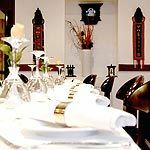 Panas Gurkha is a Nepalese and Indian restaurant that offers a wide choice of authentic cuisine which is served within contemporary surroundings. 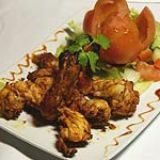 Do you work at Panas Gurkha? What did you think of Panas Gurkha? Me and my girlfriend have a curry every week and always look forward to it! We saw this had such good reviews but could not be more disappointed. Firstly the curry was late then we found they delivered the wrong order! The curry was the worst I had ever had including supermarkets ready meals! It tasted cheap and overall very poor! If you enjoy curry do not order from here you will be very disappointed. Me and my girlfriend unfortunately rarely review where we go however we felt we needed to leave this awful review to truly describe our worst ever curry! g8 restaurant. Food n service is mind blowing. Owner came and spoke to each and every tables. That was touching and he was very friendly. Amazing food and a very friendly atmosphere. Highly recommended! We had a lunch today at Panas Gurkha. Food was the best and waiter was very friendly. 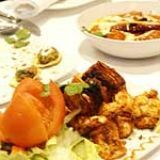 We have found this New Restaurant Panas Gurkha in Lee High Road. This place is true gem. staffs are friendly, food is so lovely and tasty . We have ordered take away few times and been there as well for dinner. The portions were generous. We are going to be there soon. We would recommend this restaurant to anyone. My local restaurant, the food is amazing as well as the service and level of comfort while enjoying the food. I would like to recommend this restaurant as being the best round southeast London. The best Indian food I have ever eaten, definitely the best Indian lewisham has to offer! 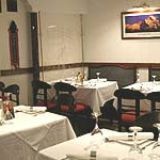 I was there at Panas Gurkha Restaurant last Friday, It was our first visit and we were not aware of live Classical and Nepalese music was on every Friday. Food was mind blowing, less oily, fresh and service was excellent. It was packed and we did not book the table but looks like we have to book it for next time. we will definitely recommended to others and ourself will be regular to Panas Gurkha. I'm really pleased this place has opened. I have visited about 6 times now and had two take aways. The food is very fresh - be warned it takes a little time for the food to come BUT its because it's all freshly made. I hope they keep these standards as it is the very best Indian subcontinent restaurant we have in Lee high road. 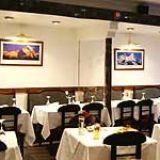 The service is also excellent and run by Nepalese. Every time we have been made to feel very welcome. The momos are amazing! I hope people try it and come back again so this restaurant stays - we don't have enough decent places to eat in Lee, Lewisham and Hither Green. Blackheath which is 15 mins walk n very difficult to get parking space and this one is just 10mins walk from my place and free parking after 7pm. This place is probably the best Nepalese Restaurant I've eaten at and I visit here a couple of times already. The staff are always really friendly and knowledgable about the food. Top marks.